The first part of the internationally award-winning Dragonkeeper series. Ancient China, Han Dynasty. A slave girl saves the life of an ageing dragon and escapes her brutal master. 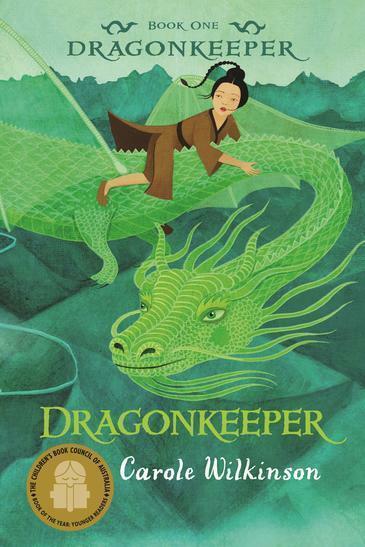 Pursued by a ruthless dragon hunter, the girl and the dragon begin an epic journey across China. They carry with them a mysterious stone that must be protected. 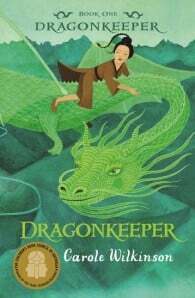 Dragonkeeper is the story of a young girl who believes she is not worthy even of a name but finds within herself the strength and courage to make this perilous journey and do what must be done. Carole Wilkinson is an award-winning author of books for children. She has a longstanding fascination with dragons and is interested in the history of everything. Carole is a meticulous researcher who finds it difficult to stop researching and begin writing. She once searched for weeks to find out whether there were daffodils in Han Dynasty China. Carole is married, has a daughter, and lives in inner-city Melbourne.